The BJP, led by Prime Minister Narendra Modi, has been attacking the legacy of the Nehru-Gandhi family. 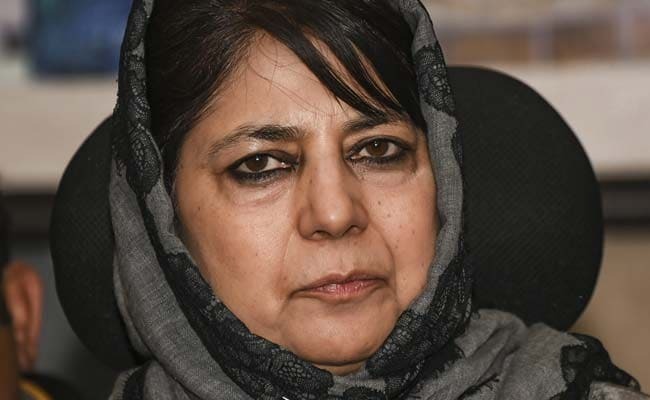 The BJP's attacks on the Congress involving former prime minister Jawaharlal Nehru has prompted Peoples Democratic Party (PDP) chief Mehbooba Mufti's savage dig at the BJP in which she has drawn a curious analogy. "BJP blaming Nehru for all the wrong decisions and policies NDA has undertaken is the equivalent of a child using the dog ate my homework alibi in school," the former Jammu and Kashmir Chief Minister tweeted on Wednesday. The BJP, led by Prime Minister Narendra Modi, has been attacking the legacy of the Nehru-Gandhi family, which has produced many Congress presidents and prime ministers of the country. PM Modi and other party leaders have alleged that the party practices dynastic politics. Over the last few months, Jawahalal Nehru's name has also come up in tweets and blogs. The most recent instance was when China's move to block the global terrorist tag for Jaish-e Mohammad chief Masood Azhar turned into a full-blown political. As the opposition accused the Prime Minister of compromising India's interests with his friendly overtures to China, BJP responded promptly on its Twitter handle, blaming Congress Rahul Gandhi's grandfather. "China wouldn't be in UNSC had your great grandfather not 'gifted' it to them at India's cost. India is undoing all mistakes of your family. Be assured that India will win the fight against terror. Leave it to PM Modi while you keep cosying up with the Chinese envoys secretly," the party tweeted. Ahead of this month's national election, Ms Mufti's attacks on Twitter at the BJP government have become more intense. On Tuesday, she rebutted Union Minister Arun Jaitley's charge that the statements of parties of Jammu and Kashmir create a separatist psyche. "Unacceptable is a new India where those who kill and lynch in the name of religion are feted and garlanded. If standing up for my people makes me a separatist and anti national then its a badge I will wear with honour," she tweeted.